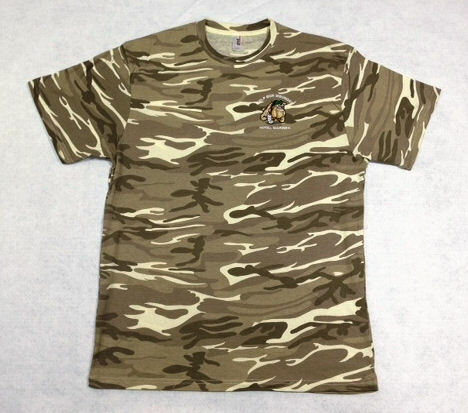 Support 'Help Our Wounded Royal Marines' by proudly wearing one of our high quality camouflage t-shirts. The tshirts are available in 3-4yrs, 5-6yrs, 7-8yrs,.9-10yrs, 11-13 yrs. Our t-shirts feature the HOWRM embroidered logo on the left breast.